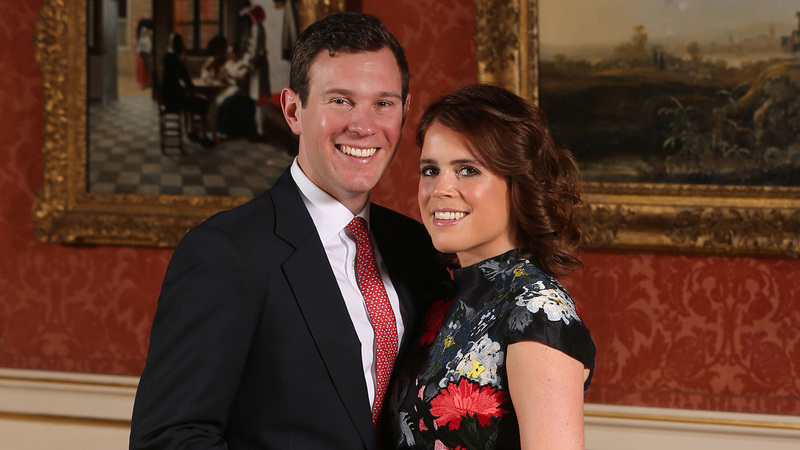 Princess Eugenie has announced her wedding date! The 27-year-old royal will exchange wedding vows with Jack Brooksbank on October 12, 2018, at St. George’s Chapel at Windsor Castle, her dad the Duke of York confirmed on Twitter. “The marriage of Her Royal Highness Princess Eugenie to Mr Jack Brooksbank will take place on 12th October 2018. As previously announced, the wedding will take place at St. George’s Chapel, Windsor Castle,” the tweet read. The happy pair announced their engagement on January 22 after seven years of dating. According to Eugenie, Jack came up with the perfect proposal on a romantic vacation to Nicaragua last month. Eugenie’s parents, Duchess of York Sarah Ferguson, and the Duke of York were thrilled about the news. “The Duke and Duchess of York are delighted to announce the engagement of Princess Eugenie to Mr. Jack Brooksbank,” her parents said in a statement at the time. Mark your calendars royal-watchers! We have Prince Harry and Meghan Markle’s wedding on May 19 and Princess Eugenie’s at the same venue on October 12!